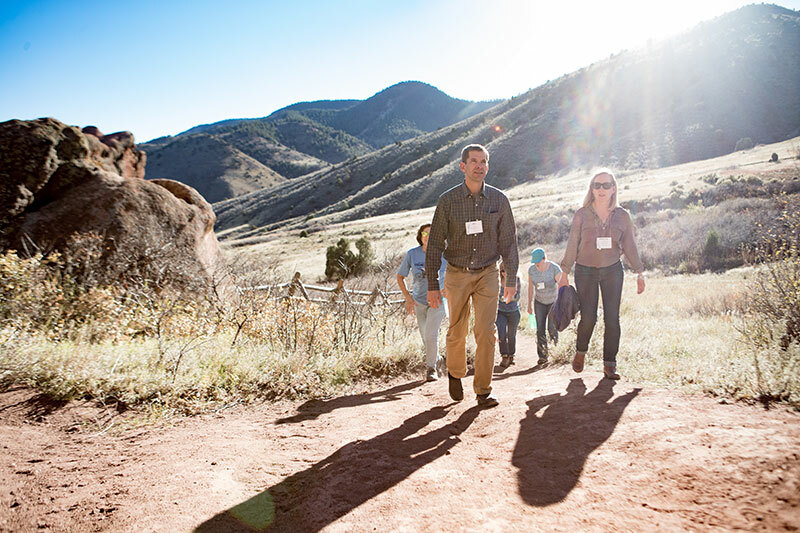 Rally 2017: The National Land Conservation Conference in Denver, Colorado October 26-28, was as much about inspiration as it was about learning and networking. Andrew Bowman, president of the Land Trust Alliance, kicked off the proceedings with his keynote speech at the Welcoming Dinner. “There is nothing better than looking out over a sea of conservationist faces…people who work long hours simply because they want to leave the Earth a better place,” said Wendy Jackson, executive vice president at the Alliance. Wendy’s thought, “leaving the Earth a better place,” was a common thread throughout the speeches at this year’s Rally — with viewpoints from the ground, from mountain summits and from space. Watch video: Pam Melroy, former NASA Astronaut, gives her Opening Plenary speech. Watch video: Luis Benitez, director for the Outdoor Recreation Industry Office, State of Colorado, gives his Closing Plenary speech. Watch video: Will Rogers, president and CEO of The Trust for Public Land (accredited), and recipient of the Land Trust Alliance’s Kingsbury Browne Conservation Leadership Award & Lincoln Institute of Land Policy Fellowship, gives his award acceptance speech. Watch video: Will Rogers, president and CEO of The Trust for Public Land (accredited), and recipient of the Land Trust Alliance’s Kingsbury Browne Conservation Leadership Award & Lincoln Institute of Land Policy Fellowship. Watch video: Colorado Cattlemen’s Agricultural Land Trust (accredited), recipient of the Land Trust Alliance’s National Land Trust Excellence Award (for staffed land trusts). By helping foster a statewide conversation about the shared benefits of land conservation, the land trust has secured strong bipartisan accomplishments. Watch video: Groton Open Space Association (Connecticut), recipient of the Land Trust Alliance’s National Land Trust Excellence Award (for all-volunteer land trusts). Through a variety of strategic partnerships with larger organizations, the land trust has demonstrated how smaller organizations can have larger influence. Join us for Rally 2018 in Pittsburgh, Pennsylvania October 11-13!